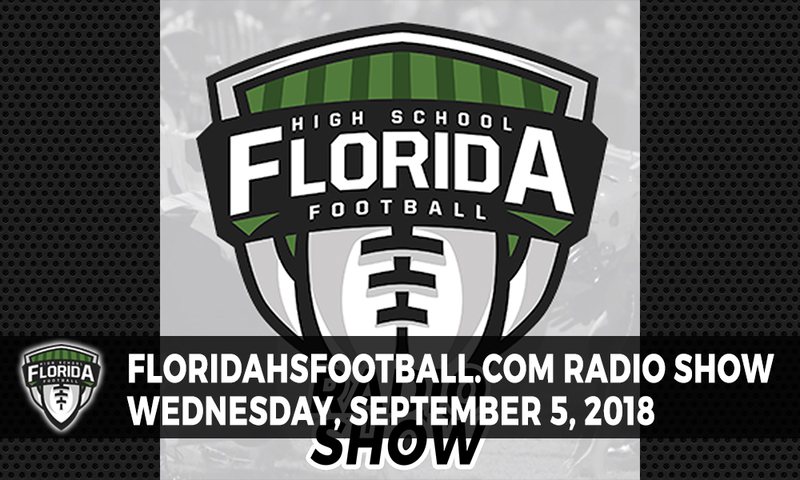 The FloridaHSFootball.com Radio Show enters Week 3 with host Joshua Wilson setting the table for this week’s slate of high school football games from 9 p.m. until 10 p.m. Eastern. Listen to last week’s show to hear what you missed and then come back here tonight to listen to the show LIVE! NOTE: When the show goes “LIVE” the player above will automatically tune into the show live. You can also down the Spreaker app on your Android or iOS device and listen to the show live that way, plus you can chat with us on the show through the app. Just search for FloridaHSFootball.com in the Spreaker app. Segment 2: Kyle Skipper, first-year head coach at Pedro Menedez in St. Augustine joins us to talk about his team’s huge victory over rival St. Augustine, their first in 18 tries over the Yellow Jackets. He joins the show around 9:20 p.m. Segment 3: Marty Pallman joins the show around 9:40 p.m. to talk about high school football for the week around the Sunshine State and some Week 3 games.